Beginning in the 2s, children in the Lower School sing songs daily with their Group Teacher. These songs are selected from a variety of folk and world music traditions to help young children develop beat competency, pitch-matching and the basic comparatives of high-low, loud-soft, fast-slow, as well as to simply enjoy singing together. In the 6s through the 13s, children participate in twice-weekly classes with the Music Teacher. Children develop music literacy skills through the practice of folksongs, art music, and singing games. Songs include traditional and contemporary favorites, as well as historical music related to the social studies programs. City and Country has a singing tradition and community songs are shared in our annual all-school assemblies. In addition, children at all ages enjoy the use of musical instruments, from small percussion to larger mallet instruments. Alongside their weekly general music classes, Middle School groups are provided instrument instruction. In the 8s, children begin recorder class once a week, and a more formal study of music begins, including reading and writing music, and analyzing melody, rhythm and harmony. 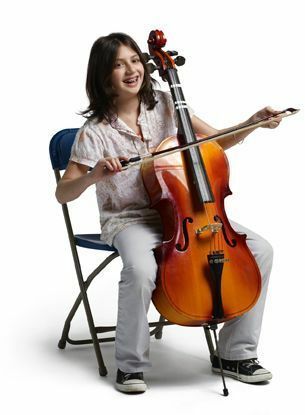 In the 9s, children add the study of violin and cello to their work with the recorder, broadening their music experience and preparing for an instrumental ensemble. At 10, the children choose one of these three instruments to pursue for the entire year within the context of the 10s orchestra. In their general music classes, the 10s are introduced to choral literature so that when they enter the 11s they will choose between chorus and orchestra for their twice-weekly Ensemble class. In the 12s and 13s, students choose between orchestra, chorus and a variety of art classes for their Upper School elective. All performing ensembles have the opportunity to share their repertoire and developing skills in concerts and assemblies held throughout the school year. City and Country has a long history of offering Afterschool private music lessons. Students may choose to study voice, violin, cello, piano, guitar, or recorder with C&C music faculty and share their repertoire in twice-yearly recitals.